[PDF] Oxford Handbook of Clinical Medicine (Oxford Handbooks) | Free eBooks Download - EBOOKEE! 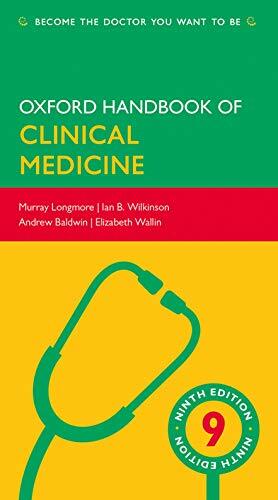 Description: Now in its ninth edition, the Oxford Handbook of Clinical Medicine continues to be the definitive pocket-friendly guide to medicine. The culmination over 25 years of experience at the bedside and in the community, this handbook is packed with practical advice, wit, and wisdom. The Oxford Handbook of Clinical Medicine presents clinical information in a clear way that makes it easy to revise, remember, and implement on the ward. It gives reliable advice on what to do, when to do it, and how to do it, with clinical photographs and diagrams that bring theory to life. Uniquely for a medical text, this book weaves history, literature, art, and philosophy into its survey of medicine, casting new light on the specialties and encouraging the reader to see beyond the practical aspects of medicine and adopt a patient-centred approach to care. The Oxford Handbook of Clinical Medicine looks better than ever, with a more modern design and over 600 colour images and illustrations. The History and Examination chapter has been completely revamped with systematic flowcharts and new illustrations so that it better reflects real bedside practice. The index, cross-references, and references have been overhauled to make them even easier to use. Every chapter has been written with supervision from experts in each field to ensure accuracy, and updated to reflect relevant guidelines from the NHS, NICE, the Resuscitation Council and other key proffesional bodies. Loved and trusted by generations of doctors, the Oxford Handbook of Clinical Medicine continues to be an indispensable companion for the practice of modern medicine. No comments for "[PDF] Oxford Handbook of Clinical Medicine (Oxford Handbooks)".